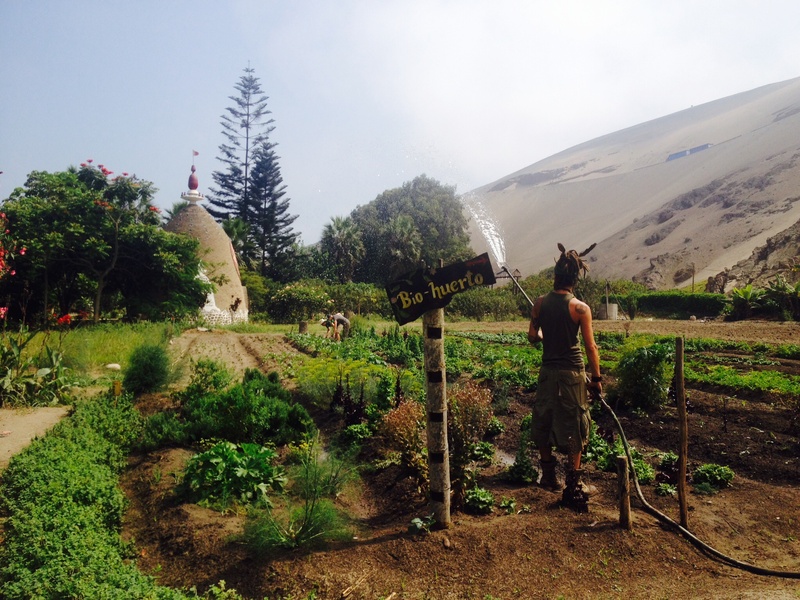 Eco Truly Park, Lima | Travel Smart! If someone had told me a few weeks ago that I would end up volunteering at a Krishna Eco village in Peru, I probably would have laughed in their faces. It was from a complete random conversation whilst staying in Lima I found myself at Eco Truly Park. This place is an ecological, artistic community based on the Vaisnava principals & Indian traditional teachings. There is a strong focus on awareness, self observation, reincarnation, recognition & growth with the goal of being fully sustainable & 100% self sufficient. They open their doors & rely on the help of eager volunteers such as myself & the many other legends all there ready to get our hands dirty. 7am- yoga class. A great way to start the day & wake up the body. 8am- Finish yoga & optional meditation to wake up the mind. 10am- With a full belly it’s time to get to work. After lunch you are free to spend your time however you wish. 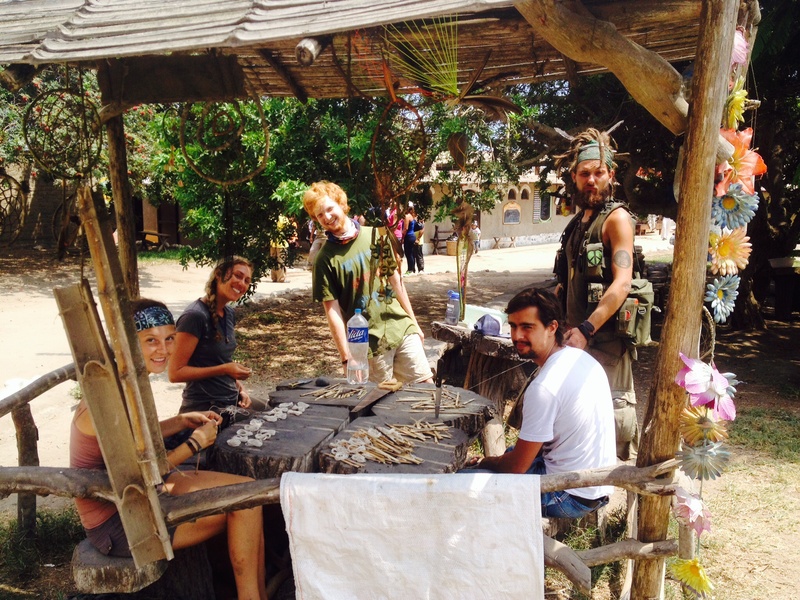 Often there are art classes or activities for volunteers to participate in such a weaving or pottery for example. Chacra y Mar beach is located just across the road. It’s quite dusty but there are caves & nice walks to be discovered. All meals are included for volunteers & are 100% vegetarian/vegan. Always hefty & impressive servings of vegetables cooked any which way & accompanied by a homemade brew of tea or juice. This was a unique experience & great way to learn by helping. As mentioned this is a Vaisnava community & every night in the temple there is a musical ceremony followed by a reading and discussion from a Vedic text. Anyone is invited to join and learn about Vaisnava culture. I found everything really interesting & the temple with its beautiful surrounds was well worth the visit. $15 (US) a day for Shared rooms, separate for Men &amp; women. $12(US) a day for camping if you have your own tent/set up. Individual rooms are available for a slight cost. What you do generally depends on where the need is however you are free to express your interests & people with knowledge & skills in a particular field are considered an asset. 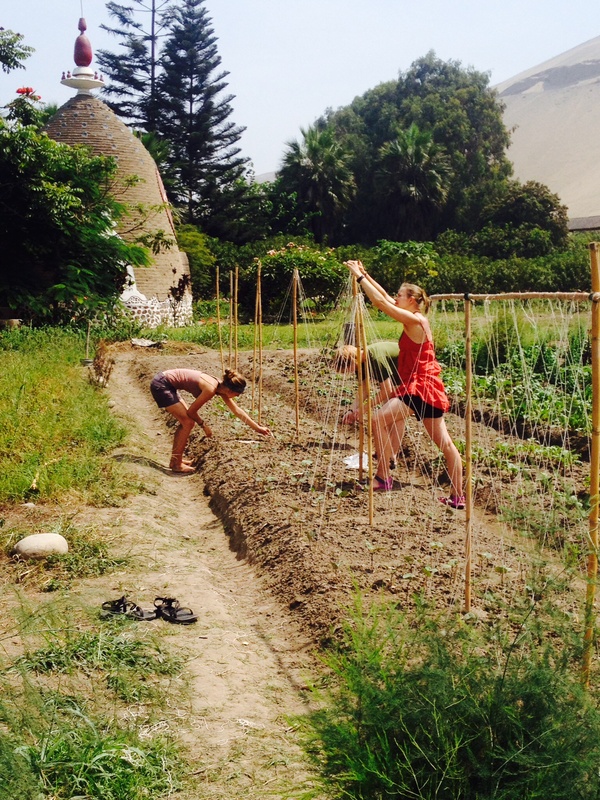 Whether it be yoga, art classes, helping the kitchen, organic farming or language lessons. Note: 95% of the residents do not speak English however the volunteers are from all over the globe & good for a chat. Bring toilet paper!! There is never enough of this necessity especially when you consider all the fruit & veg you’ll be eating! The nearest town is Chancay (15min taxi) where you can go for wifi, ice cream, coffee or a cold beer as they are not allowed in the village. From Lima airport, take a taxi to “PLAZA ACHO” at the end of Abancay Avenue, where there is a bus station called “TURISMO HUARAL”. You can take the taxi from inside or outside the airport: the taxis outside are less expensive (around 15-20 soles) and allow you to bargain. The taxi service inside the airport is a bit more expensive but also more secure. The company has 2 routes, so make sure that you take the bus along the route “PASAMAYO” as this will drop you closer to us. Frequency of buses , every 15 minutes. Once you are off the bus it’s a simple Taxi ride (6 soles) to Chacra y Mar beach. Hey leane, how you been ?! Awesome blog, tess showed me before i started my trip, very nice read and seems like a great cultural experiance.